Chopin tour - Polish Tours & Travel Agency - Greetings from Poland! Chopin tour program The Chopin tour is a special tour dedicated to the most important places for Chopin heritage in Poland. 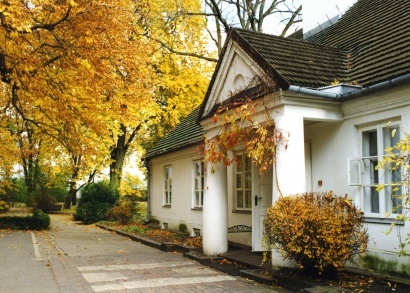 During our half-day tour you will visit Zelazowa Wola – the birthplace of Frederic Chopin, nowadays you can visit a museum located in the manor house. Next our guide will show you a small village Brochow and church where Chopin was baptized and his parents (Justyna and Mikolaj Chopin) got married. The third point of your Chopin tour will be arranged in Sanniki, where young Chopin u staid for summer holidays. The second part of your tour will be conducted in Warsaw, where the main highlights are: St Cross church, where Chopin’s heart was laid to rest and Lazienki garden with the Chopin’s monument. To fulfill your “Chopin’s day” we would like to invite you for our Chopin music concert, organized three times a week (Tuesday, Thursday, Saturday) at evening time. Dates: everyday on request, with few days exception. The price includes: – transfers by a car, van (depends on group size), – our local guide services, – entries according to the tour program.